Dare I , Dare I not?? Do I, Do I not????? Shall I, Shall I not?? These were the thoughts going through that ridiculously coward mind of mine when I contemplated what to do with a bag of foolishly, randomly insanely bought plums!! I questioned my sense..my reasoning..my sanity! I told myself to get over it..and make something fabulous with it!! 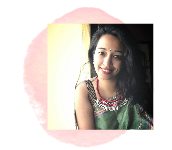 So after I got a grip on my spiraling outta control sense, I decided I wouldn’t chicken out and make a plum salsa or chutney…thats for more simpler times..not for times when you wanna challenge yourself and broaden your kitchen horizons…spread your wings and try to fly..to France!! And so after much deliberation and self doubt and questioning , I came to the conclusion that I was insane.Completely and Irrevocably Insane. 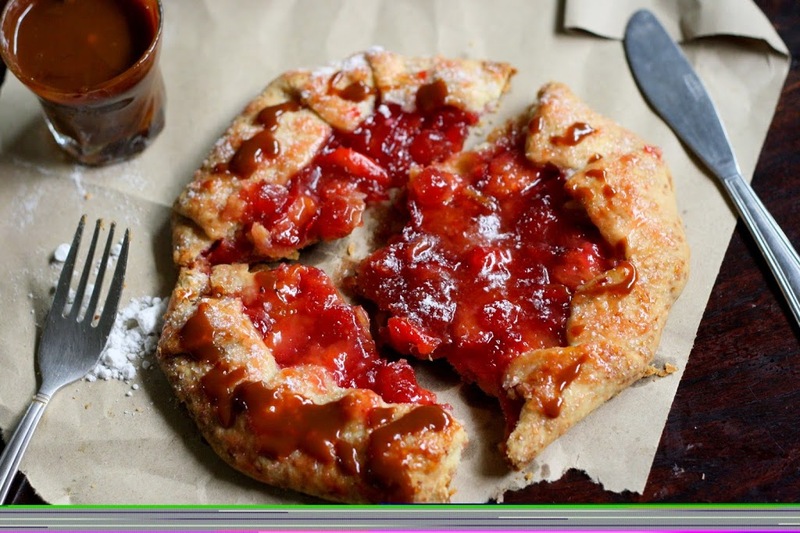 Coz I..the girl who doesn’t bake at all had decided to make…A Plum & Cherry Galette!! Till date I don’t know how that happened..or what spurred me to try to bake a galette, but whoever or whatever it was up there, I want to give it a giant Thanks!! 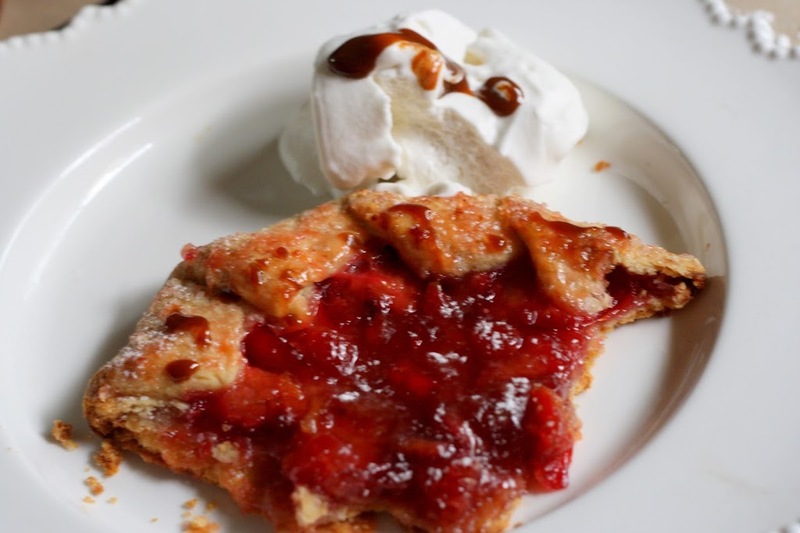 A galette is a traditional French tart ..well its a “free form” rustic French tart , typically filled with any kind of seasonal fresh fruit, an absolutely delightful flaky pastry and served with some creme` anglaise or vanilla bean ice cream..its such a comforting warm dessert.. 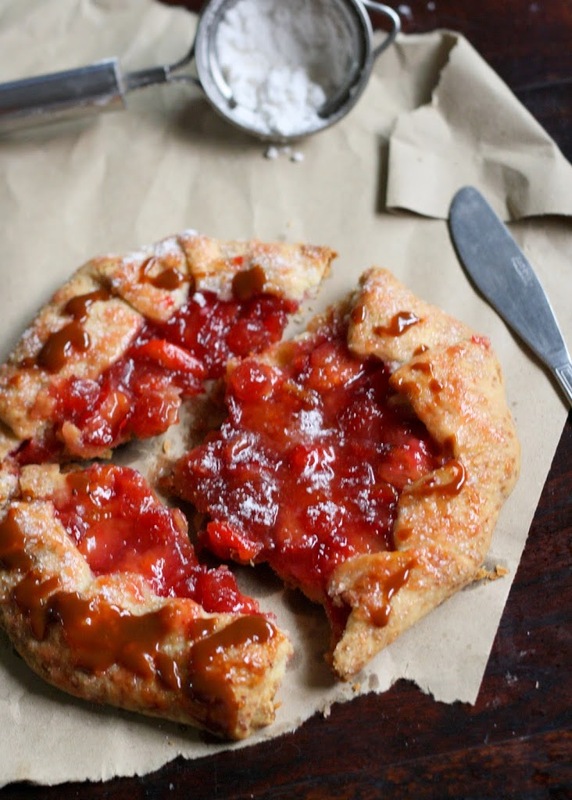 Think flaky pastry with the most deliciously jammy sweet cinnamony (is that a word?) plum and cherries filling! 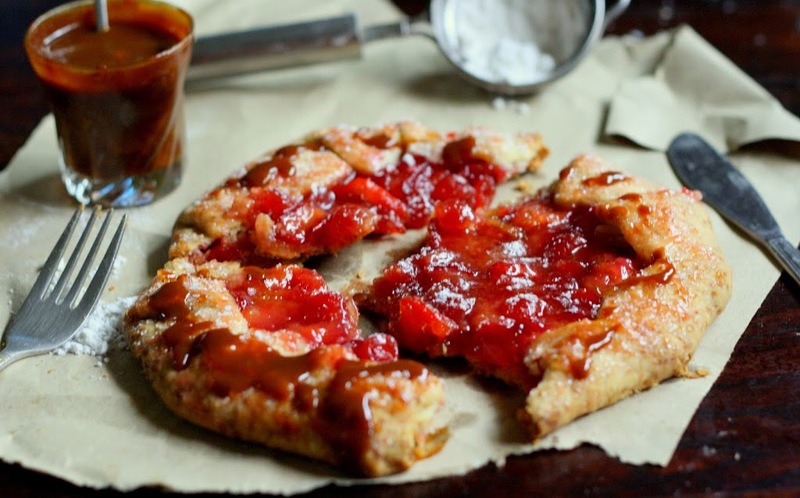 When I had it, it took me to a beautiful rolling valley filled with swaying lavender..blue with rosemary..scented with hollyhocks…a picnic basket by my side, a whole decanter of some delicious Merlot and this gorgeous gorgeous galette with me…. 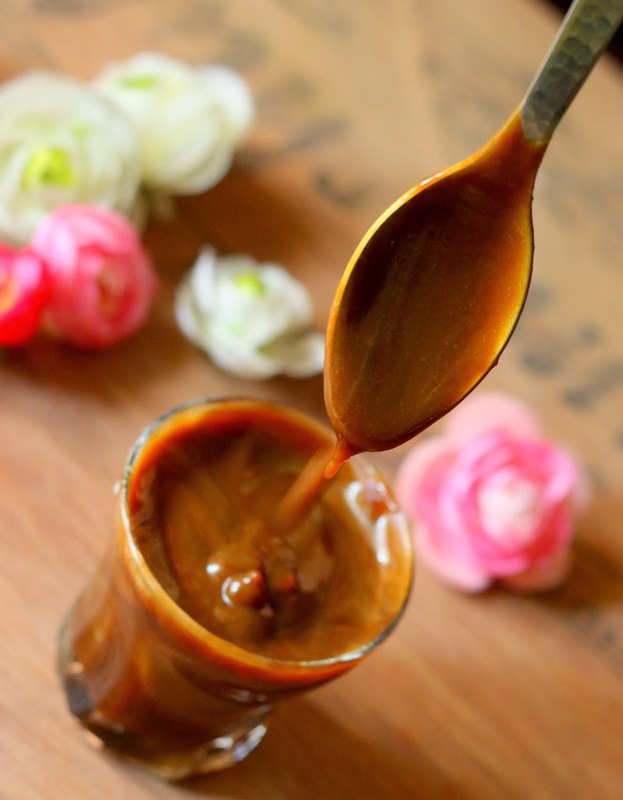 Vanilla/Whiskey salted caramel sauce to make things more fancy!! MAKE THE PATE BRISEE : Put the flour, butter and salt in a food processor and process for 5 seconds; the butter should still be in pieces. Add the ice water and process for 5 seconds longer, just until the dough comes together; the butter should still be visible. 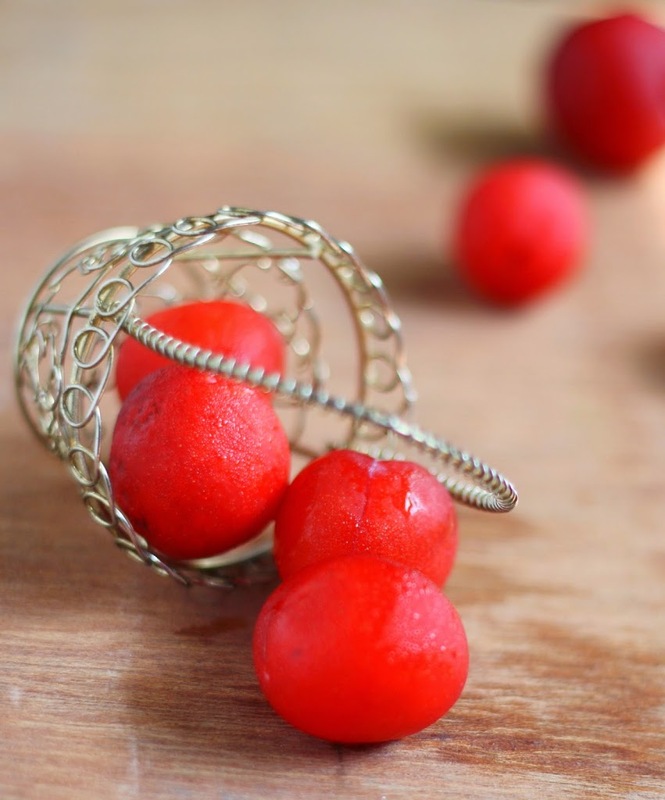 Remove the dough from the processor and gather it into a ball. On a lightly floured surface, roll out the dough into a 16-by-18-inch oval 1/16 to 1/8 inch thick. Drape the dough over the rolling pin and transfer it to a large, heavy baking sheet. Chill the dough until firm, anywhere from 30 minutes to 12 hrs. Preheat the oven to 180 C.
MAKE THE FILLING : In a small bowl, combine 1/4 cup of the sugar , cinnamon powder with the ground almonds and flour. 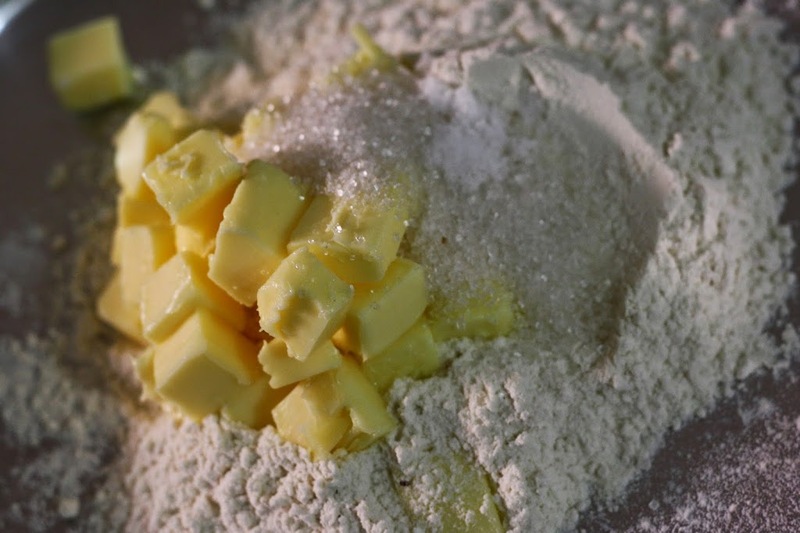 Spread this mixture evenly over the dough to within 2 inches of the edge. Arrange the plum wedges on top, add the cherries and dot with the butter. Sprinkle the brown sugar over the fruit. 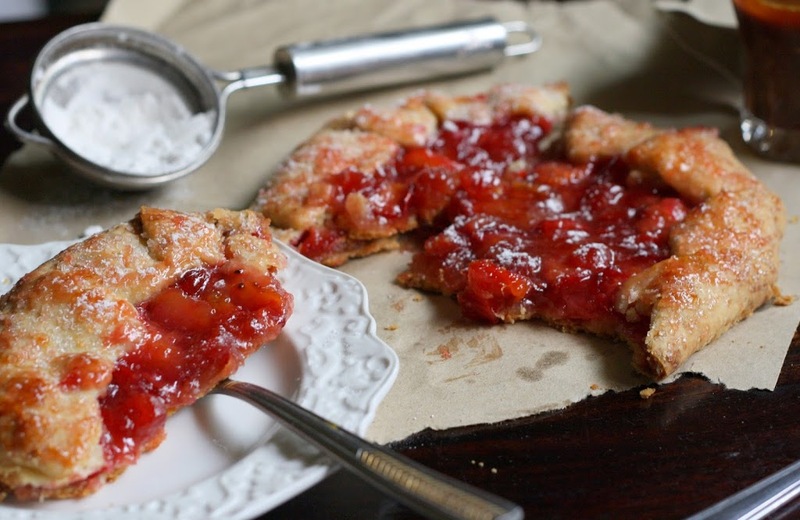 Fold the edge of the dough up over the plums to create a 2-inch border. (If the dough feels cold and firm, wait for a few minutes until it softens to prevent it from cracking.) . Make an egg wash by mixing an egg with some water. 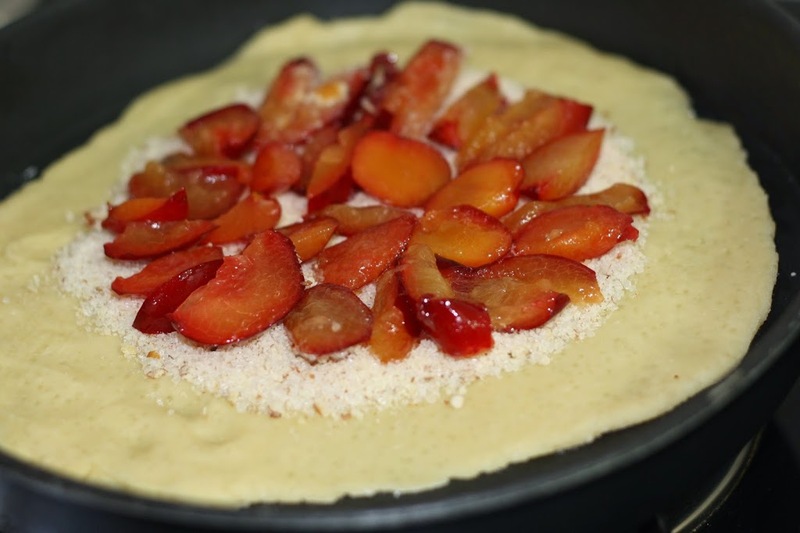 Using a pastry brush, brush the edges of the galette evenly with the egg wash,..Sprinkle the border with the reserved 1-2 teaspoon of turbinado sugar. Bake the galette in the middle of the oven for about 1 hour, until the fruit is very soft and the crust is richly browned. 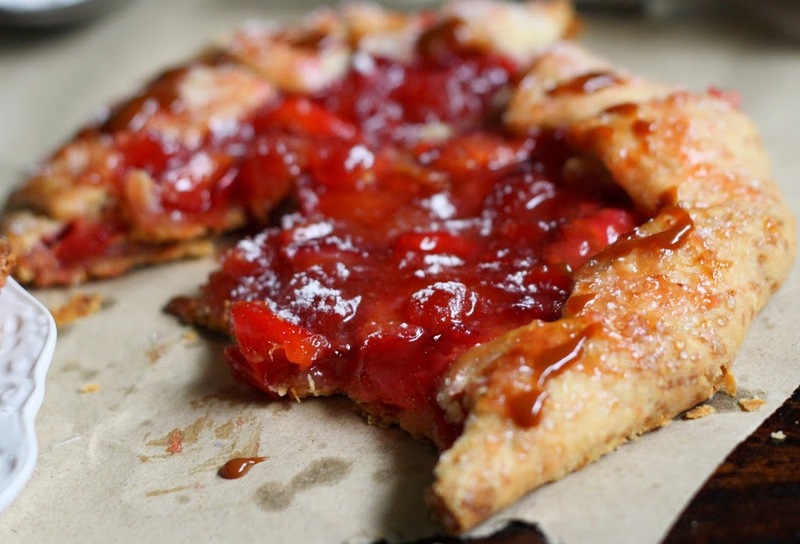 If any juices have leaked onto the baking sheet, slide a knife under the galette to release it from the sheet. 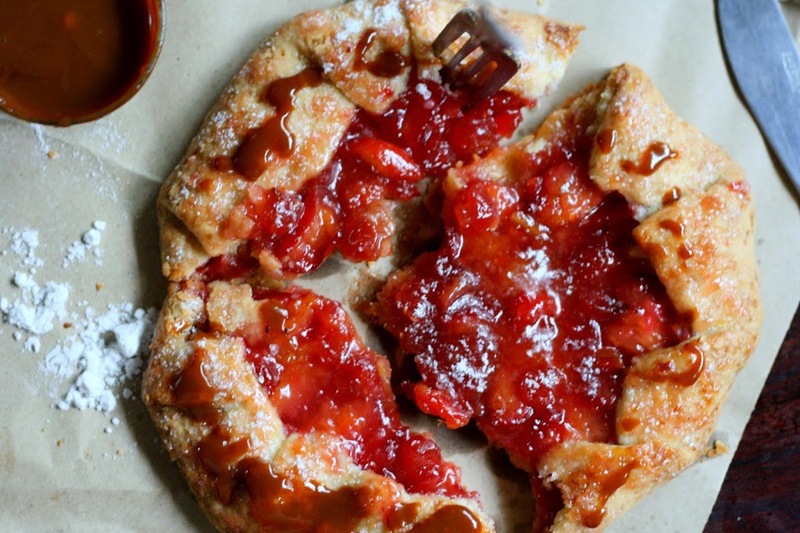 Dust some icing sugar on the hot fruits.. Let the galette cool to room temperature before serving. Imagine yourself taking a trip in France…. It is very important that the dough is cool, so please measure out the ingredients for the pate brisee before you start making the crust. Be quick with the dough. and chill asap you make it. If you do not hav e a food processor,you can do it with your hands..just rub the butter in.. Remember DO NOT over knead the dough. It should just come together like a ball. You can add any kind of stone fruits to the filling, although apples also work. Some people add a squeeze of lemon juice to the filling. I left it out coz I felt the plums weren’t sweet enough as it is. You can make the dough early and chill it anywhere between 30 mins to 12 hrs.. Just bring it out when the filling is ready and the oven in pre heated. 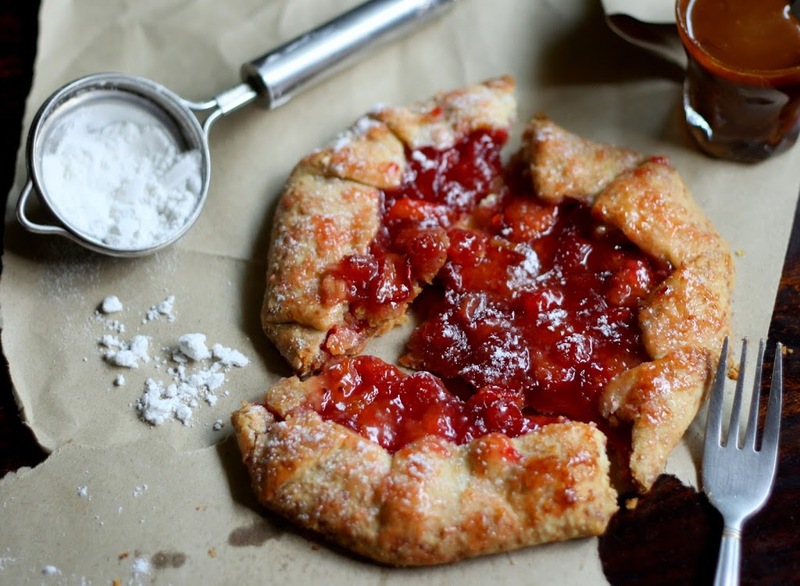 You can choose to make one big galette, or simply make few smaller ones from the same dough. You can also brush some fruit preserve on the filling once it comes out hot for an added flavour. PS :Merci Monsieur Jacques Pépin’ pour la délicieuse recette. 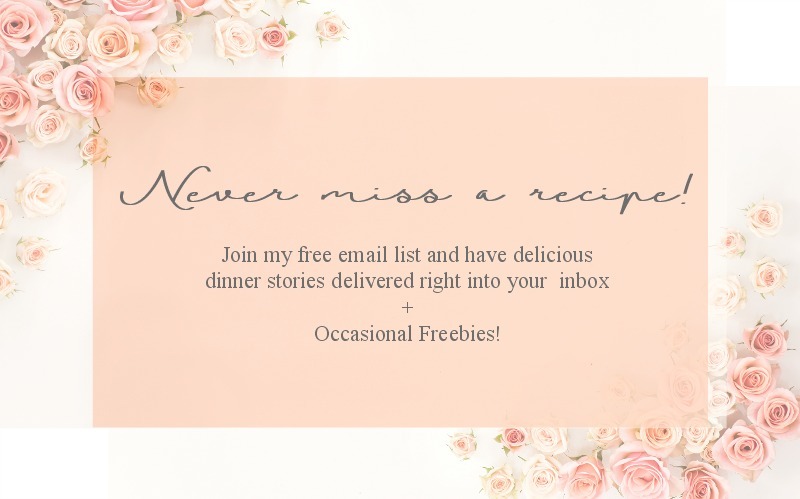 Previous Lamingtons…a great Guest Post!